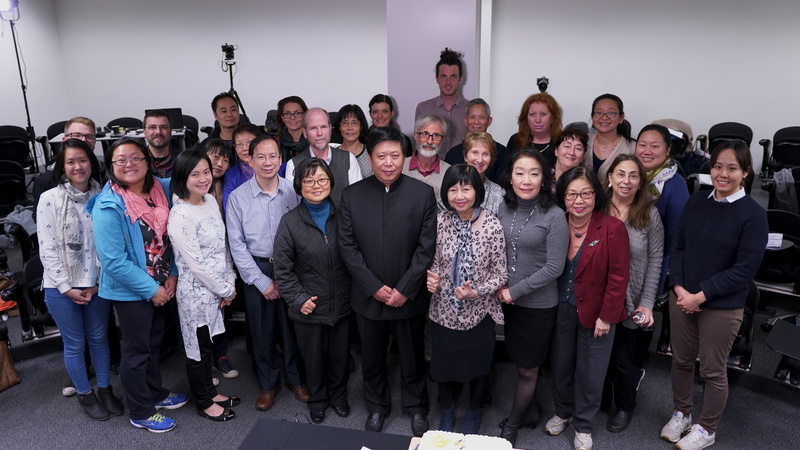 It was most gratifying that our farewell live seminar ended on such wonderful note with Professor Chen Ming who is a gifted and renowned Jing Fang Specialist and a disciple of Professor Liu Du Zhou. Professor Chen Ming touched on the theory of Yin and Yang and the five elements and how these profound Nei Jing theories can be applied to treat contemporary diseases. Discussion was supported by reference to Shang Han Lun, Su wen, Ling Shu. The highlight of the two days was a wonderful explanation by Professor Chen Ming on how Xiao Jian Zhong Tang can be applied to treat many cardiac diseases. Xiao Jian Zhong Tang is a Shang Han Lun formula with a focus to tonify the spleen as the name implied ie banking up the middle (spleen and stomach). The theory behind this is the five elements and the correlation ship of the heart (Upper jiao); spleen and stomach (Middle jiao) and the kidney (Lower jiao). It is important to bear in mind that not all cardiac diseases are being treated from the heart perspective; in this instance, many cardiac diseases can be treated by tonifying the spleen. This is certainly a pearl of wisdom. We would like to advise that Pearls of Wisdom is changing direction after 16 years of presenting live seminars.For the future, we would like to focus on a series of educational programs by inviting TCM professors from China who specialize on certain treatment aspect of many contemporary diseases such as diabetes, renal disorders, cancer management, cognitive impairment disorder, thyroid diseases, gout etc. to share their road-tested clinical experiences with fellow practitioners in the West. We would also like to announce that Professor Ni Qing of Guangan Men Hospital will be presenting another very interesting Three-Day workshop in the Netherlands scheduled for 1-3 March 2019.